Products worth more than Rs300 cr were approved in-principle in Uttar Pradesh under Ramayana and Krishna circuits under the Swadesh Darshan scheme. 11 destinations spread across six states under the Ramayana circuit and 12 destinations across five states under the Krishna circuit have been proposed at the first meeting of the National Committee on Ramayan & Krishna circuits. 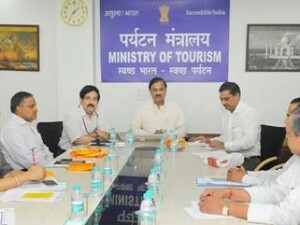 It was held under the chairmanship of the Minister of Tourism & Culture Dr. Mahesh Sharma in the presence of Secretary – Tourism Vinod Zutshi, experts and senior officers of MOT. 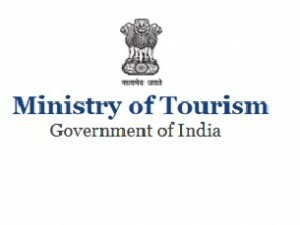 The destinations proposed under the Ramayana Circuit are Ayodhya, Nandigram, Shringhverpur & Chitrakoot (Uttar Pradesh); Sitamarhi, Buxar & Darbhanga (Bihar); Jagdalpur (Chattisgarh); Bhadrachalam (Telangana); Hampi (Karnataka); and Rameshwaram (Tamil Nadu). Expert committee suggested to include Chitrakoot (Madhya Pradesh), Nashik & Nagpur (Maharashtra) and Mahendragiri (Odisha). Under Krishna circuit, the destinations covered are Dwarka (Gujarat); Nathdwara, Jaipur & Sikar (Rajasthan); Kurukshetra (Haryana), Mathura, Vrindavan, Gokul, Barsana, Nandgaon & Govardhan (Uttar Pradesh); Puri (Odisha). The destinations were approved by the expert committee.